Take a walk on the path to peace. The Center for Spirituality and the Hickey Center for Interfaith Studies and Dialogue invite the Nazareth community to our 4th Interfaith Journey. This journey will mark our first ever visit to Hill Cumorah in Palmyra, New York! This unique event will give participants an opportunity to learn about the Book of Mormon and the life of Joseph Smith. 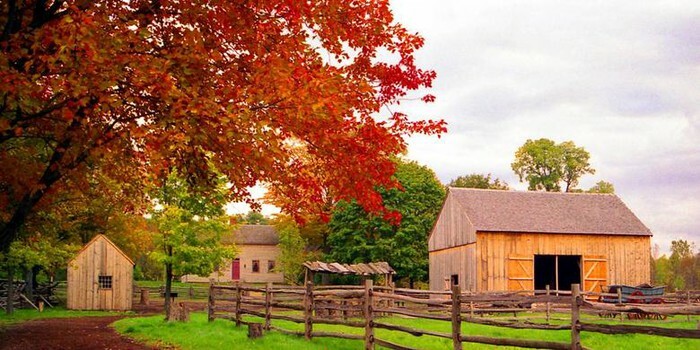 After visiting historical sites, we'll enjoy food, personal reflection, and communal conversation. This event is FREE and open to all Nazareth students, faculty and staff. This program meets the requirements of many RES classes (please confirm with your professor). We hope you can join us for this exciting and unique opportunity! Students will meet at the Center for Spirituality Community Room (GAC #151) at 12:00pm. 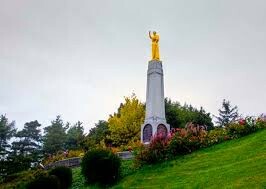 Traveling together in campus vans, we'll arrive at the Hill Cumorah Visitors Center at 12:30pm. After touring historical sites, we'll enjoy pizza and conversation together until 3:30pm. We will return to campus around 4:00pm. SPACE IS LIMITED. PLEASE RSVP BELOW by Wednesday, November 2nd.